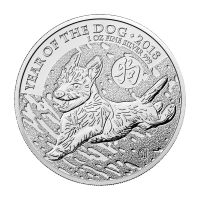 Enjoy the lowest price on the web, when you order your 1 oz 2018 Saint Helena British Trade Dollar silver coin from our store today. The original British Trade Dollars were silver coins, designed to facilitate trade with the Eastern nations. 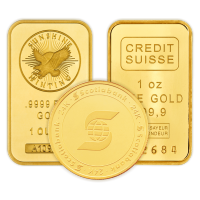 It is they to which this limited mintage coin pays tribute, created in conjunction with the legendary East India Trade Company. The coin's reverse bears the same image of iconic Britannia as the original trade dollar of the 1800's, standing proud with eyes fixed on some distant horizon, British shield and trident fast in her hands. Britannia stands within an artful frame of oriental design, encircled by the East India Trade Company title, as well as the title of the coin; behind her a ship, loaded with goods for trade, sets sail for distant shores. The obverse is home to a magnificent rendering of Elizabeth II, every strand of hair and jewel of her crown meticulously realized. Surrounding her, within the same frame of oriental design, her title, as well as the coin's denominational value and date of issue. The circulation of specialized trade dollars wasn't only a popular practise in Britain, during the late 1800's and early 1900's, it was a practice employed by a host of civilized nations, including France, the United States and Japan. 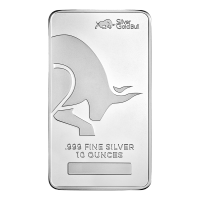 Pay homage to the trade lines which laid the foundation for the lands we know and love so well and expand your holdings with a 1 oz 2018 Saint Helena British Trade Dollar silver coin today. In multiples of 10 these coins will ship in mint sealed plastic wrap. Obverse Detailed portrait of Elizabeth II as well as her title followed by the words "St. Helena" followed by the year of issue and denomination. Reverse Britannia in a standing pose with a trade ship in the background, encircled by the words "The East India Company - Trade Dollar"
Detailed portrait of Elizabeth II as well as her title followed by the words "St. Helena" followed by the year of issue and denomination. 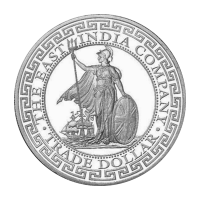 Britannia in a standing pose with a trade ship in the background, encircled by the words "The East India Company - Trade Dollar"
1 oz 2018 Saint Helena British Trade Dollar Silver Coin Enjoy the lowest price on the web, when you order your 1 oz 2018 Saint Helena British Trade Dollar silver coin from our store today. The original British Trade Dollars were silver coins, designed to facilitate trade with the Eastern nations. 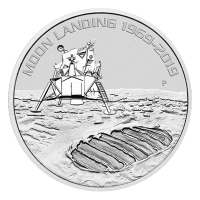 It is they to which this limited mintage coin pays tribute, created in conjunction with the legendary East India Trade Company. 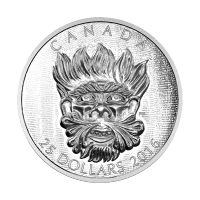 The coin's reverse bears the same image of iconic Britannia as the original trade dollar of the 1800's, standing proud with eyes fixed on some distant horizon, British shield and trident fast in her hands. Britannia stands within an artful frame of oriental design, encircled by the East India Trade Company title, as well as the title of the coin; behind her a ship, loaded with goods for trade, sets sail for distant shores. The obverse is home to a magnificent rendering of Elizabeth II, every strand of hair and jewel of her crown meticulously realized. Surrounding her, within the same frame of oriental design, her title, as well as the coin's denominational value and date of issue. The circulation of specialized trade dollars wasn't only a popular practise in Britain, during the late 1800's and early 1900's, it was a practice employed by a host of civilized nations, including France, the United States and Japan. 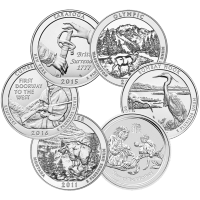 Pay homage to the trade lines which laid the foundation for the lands we know and love so well and expand your holdings with a 1 oz 2018 Saint Helena British Trade Dollar silver coin today.